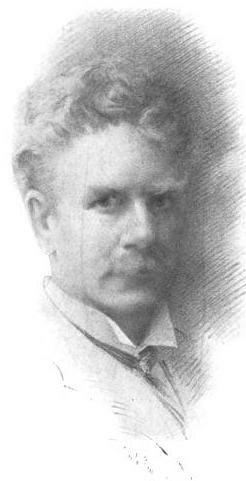 Ambrose Bierce was editor-in-chief of Wasp when the San Francisco magazine's January 3, 1885 issue published his short story "A Cargo of Cat." Presented as a true story (its original subtitle was "A True Story of the Mediterranean"), the tale follows a ship leaving Malta with a cargo of 127,000 cats — a cargo which resulted in "a good deal of trouble." Rather than tied in bundles, however, the felines are left loose in the hold. The first mate, worried they would be thirsty, hoses a supply of water with them. This decision caused the death by drowning of several thousand of them. Each had a pretty fair voice, but no ear. Nearly all their notes in the upper register were more or less cracked and disobedient. The remarkable thing about the voices was their range. In that crowd were cats of seventeen octaves, and the average could not have been less than twelve... It was a great concert. It lasted three days and nights. The cat calamity is ended when the ship passes the southern part of Italy. Seeing the boot shape, the cats fear they are about to be collectively kicked, and abandon ship. The story reflects Bierce's own dislike of cats, but it also shows his dark humor. At the time he was editing The Wasp, he was also serializing bitingly witty definitions in a series he called The Devil's Dictionary.